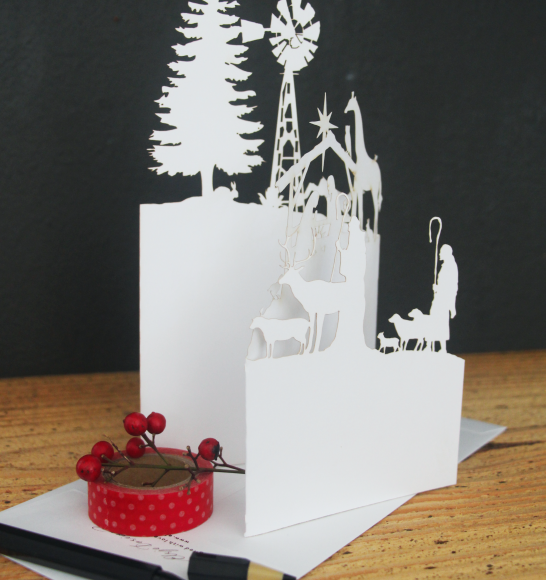 Share the love this festive season with an intricately cut 3 dimensional Christmas card. 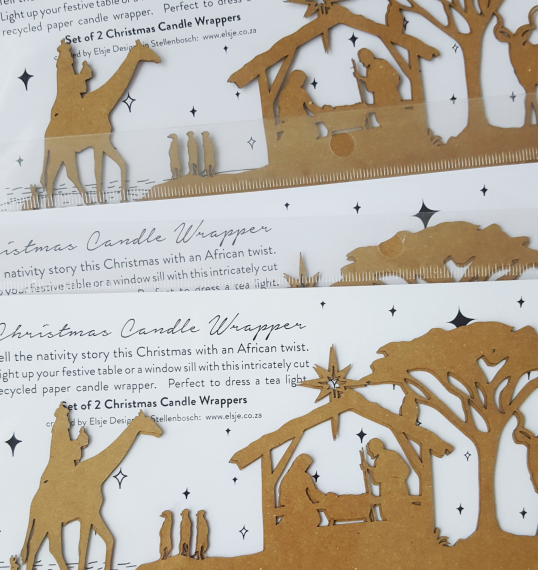 This card features the nativity scene, with Joseph and Mary, a curious giraffe, a ‘windpomp’ outside the barn and a spotted eagle owl on the roof. 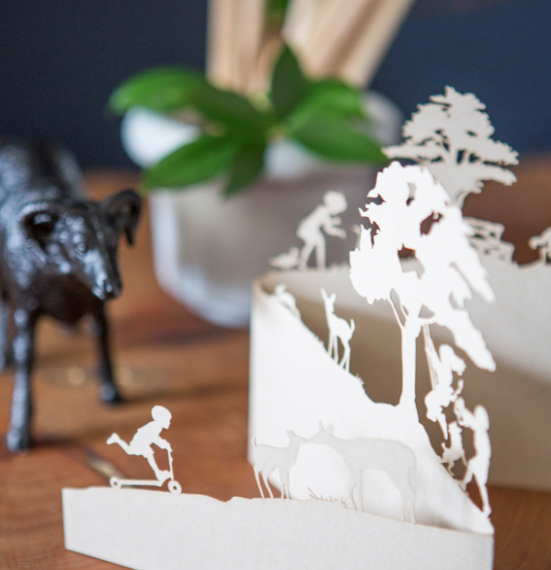 Ideal to send to an overseas loved one or to display in a sacred corner of your home. 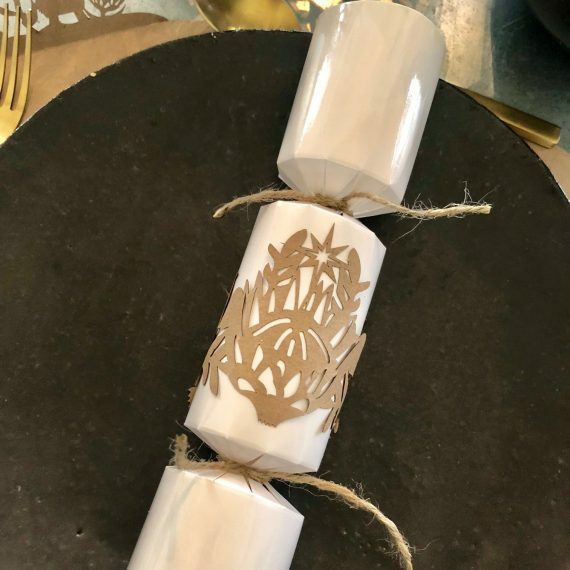 Category: Seasonal. 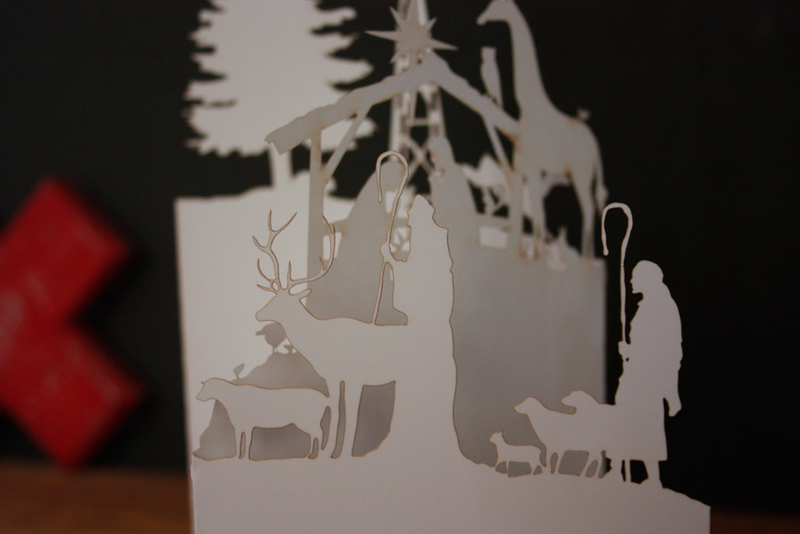 Tags: christmas, Christmas Card, Christmas in Africa, gift cards, Greeting Card, Lasercut Card, Paper art. 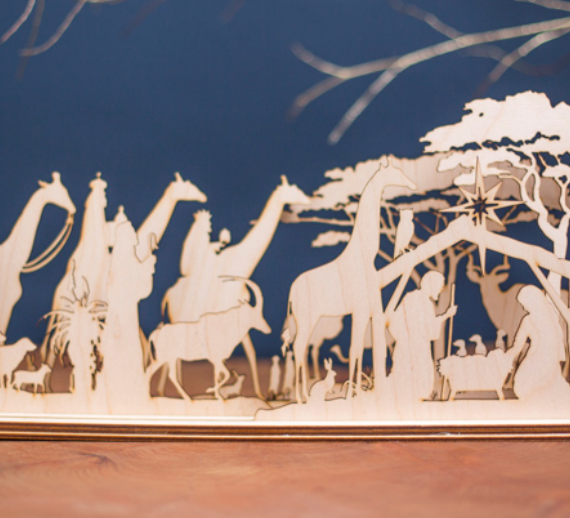 Let’s celebrate Christmas in Africa! 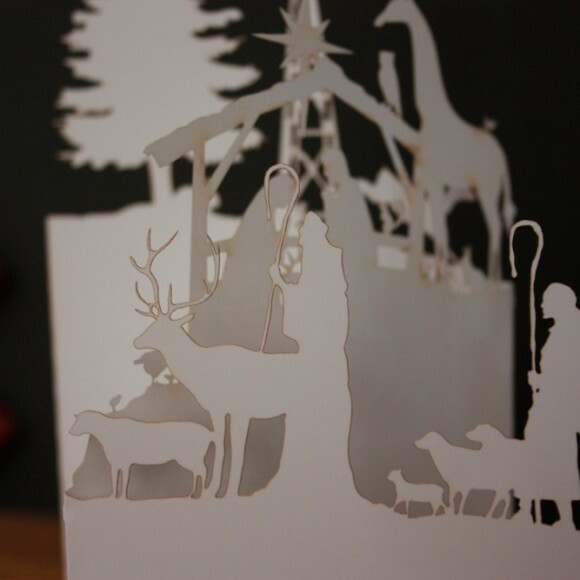 Share the love this festive season with an intricately cut 3 dimensional Laser Cut Christmas Greeting card. 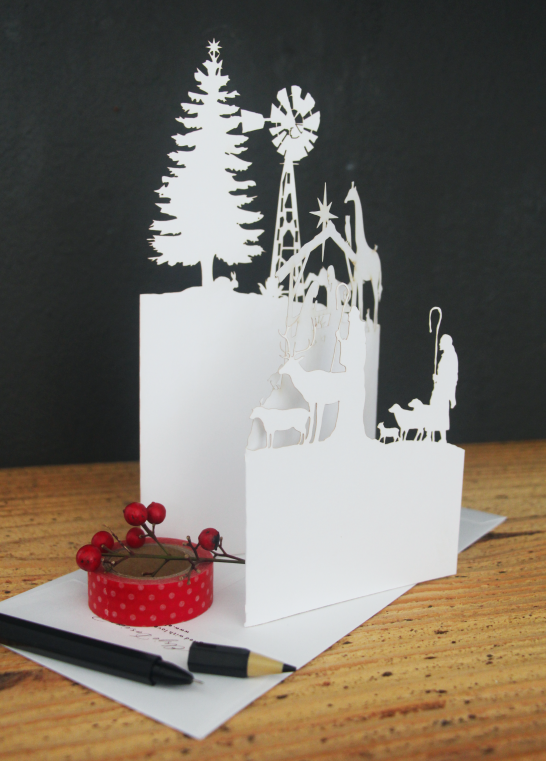 This card features the nativity scene, with Joseph and Mary, a curious giraffe, a typical ‘windpomp’ outside the barn and a spotted eagle owl on the roof. 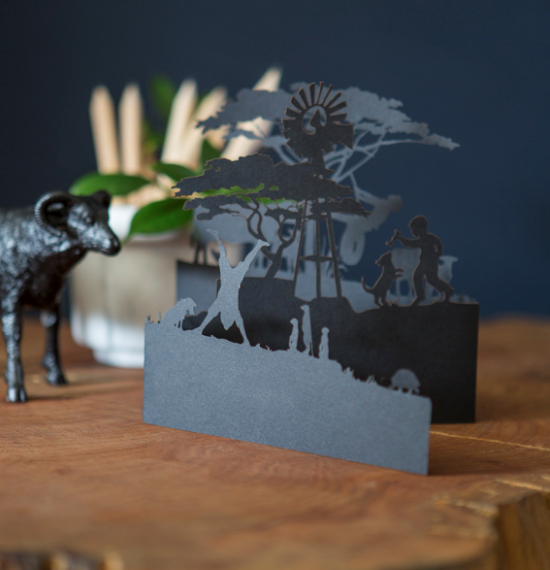 Ideal to send to an overseas loved one or to display in a sacred corner of your home.